With sales offices for two new developments in San Francisco having opened their doors last month, the number of purchase contracts signed for new construction condos in the city increased from 39 in September to 55 October, versus having tripled, on average, from September to October over the previous three years, and were 50 percent lower versus on a year-over-year basis, according to sales data from The Mark Company. And with an average of 14 percent more inventory from which to choose over the past year, the total volume of new contract signings over the past twelve months is running 6 percent higher versus the twelve months before. 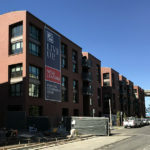 At the same time, the Mark Company’s pricing index for new construction condos in San Francisco slipped another 0.9 percent in October and is running 5.5 percent lower on a year-over-year basis and 17.1 percent below its August 2015 peak, with a current inventory of around 840 new construction condos available to purchase, which is 23 percent lower versus the same time last year but 43 percent higher versus October 2015. Which two developments? just curious. 815 Tennessee and 1075 Market Street. This is the most over-supplied niche of the housing market. Looking forward to anything that encourages developers (and the city) to diversify their projects. Are you saying condos are a niche? That’s hardly a niche since it implies SFH and apartments for rent as main-stream. Depends upon what type of condo. The category that is “one bedroom condos with character in central areas” remains highly competitive. I should have said, “in smaller buildings” as well. I’d submit that that sector of the market is at an all time high. Ofcourse sales will be down when the price of new 1bhk touches 800k .How many people can really afford to get that much of a loan ? The price for SF condos is to high. Too much inventory at unaffordable prices. To me a large part of the issue is the common charges. Common charges in 2-6 unit condo building in one of the neighborhoods are much lower than those in the new high rises downtown. Granted, you don’t get the services, but you have no choice, you have to pay the higher charges whether you use the services (or can afford them) or not. CAM in a small building can be just a couple of hundred. Is the Jeanne Gang tower going up at Folsom & Spear the last major tower with construction started? If so I’d expect some other Trans Bay projects to get delayed while the market catches up to stock. The last five years have seen the neighborhood’s demographic shift in a good way, but maybe not so affordable. With the Salesforce and Instagram towers coming online soon and a possibly imminent cash-out opportunity for Uberistas, I think 2018 might be a peppy year for downtown condos. Definitely. Anything in the SOMA region will benefit. Another factor is the way soma is developing. Those super tall condos have created a soulless sterile street experience. You drive down the Fremont Street off ramp and into a soulless abyss surrounded by huge highrises with zero street activity. Looks like something out of a futuristic sci-fi movie with flying cars but no charm or character. have you ever been to another city? I’m all for high rises, and I don’t think they intrinsically have anything to do with amount of street activity, but that said there are definitely some dead pockets that would be nice to vitalize. The Upper East Side in Manhattan does a great job with charming highrise neighborhoods with vibrant street activity. In SF all they are selling are cylinders with a Bay View. They sell the view at the expensive of the city. It’s rather disrespectful to SF as a city. These condos turn their backs to the city instead of incorporating themselves into the fabric of the city. It’s basically Miami. I’d love to see a high rise building example that doesn’t ‘turn their back to the city’. I found a lot of that in Manhattan. Beautiful highrises around Upper East Side, Midtown around Bryant Park. These buildings were completely integrated into the neighborhoods featuring small plazas and bordering beautiful Bryant Park. Upper manhattan used to be a working class. It’s like Mission that sprouted highrises. No chance of having that in nimby SF. Any case, wait till the retail spaces get populated. 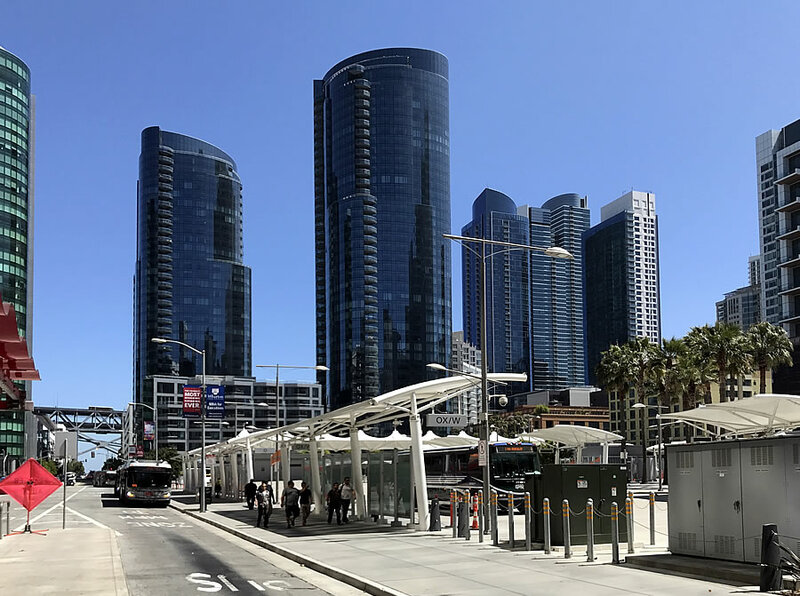 Till then, it’s at least an improvement to what was there before, which was nothing other than the transbay bus terminal. It’s hard to build a completely new highrise neighborhood and give it character and charm. You have to keep the old stuff and build around that. I see Oakland following in Manhattan’s footsteps as far as building residential highrises in older areas with historic buildings and surface parking lots. You have to have a mixture of historic and modern. A forest of huge glass cylinders on top of each other can never give you character and charm. Paris and Manhattan are very different places – and Oakland is neither. Pizza, yes, buy there isn’t much “neighborhood” around Bryant Park. It’s stone’s throw away from Time Square, Grand Central and the glitzy shopping on the 5th — it’s more of a tourist destination. A nice park though. If I have to, I’d pick soma-like Hell’s Kitchen, but it too is turning into a South Beach. Hells Kitchen has charm. The new high line running between Hudson Yards and Chelsea is amazing. NYC did a great thing turning that elevated train right of way into a beautiful park. The mixture of historic and modern is in full display.